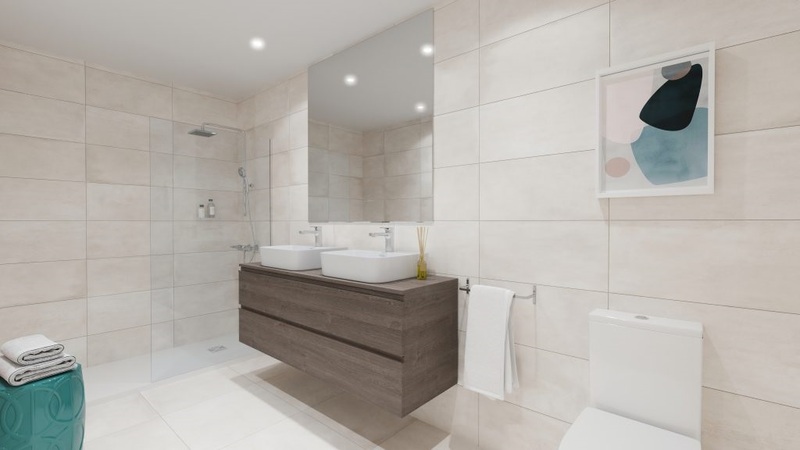 Modern townhouses Estepona for sale. New-build project. 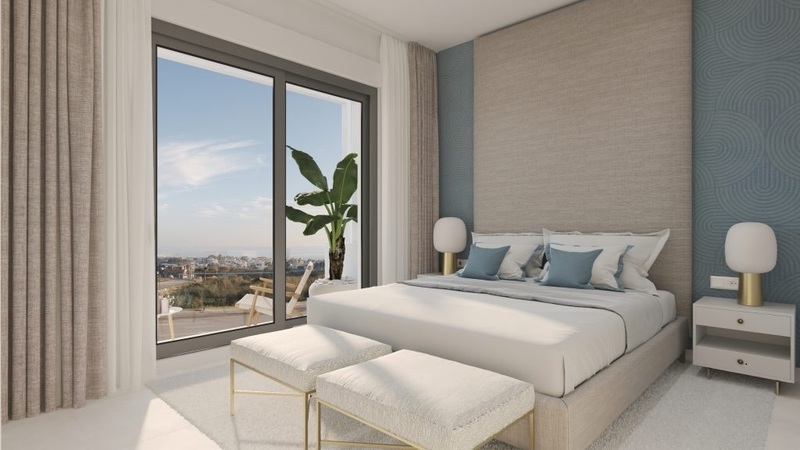 We create the modern townhouses Estepona project to offer your dream home. So you can enjoy your new lifestyle in the sun to the full. There are both private and common areas for you to enjoy wonderful moments of leisure and fun. Each townhouse type has is a great option for those who demand extra space and privacy. 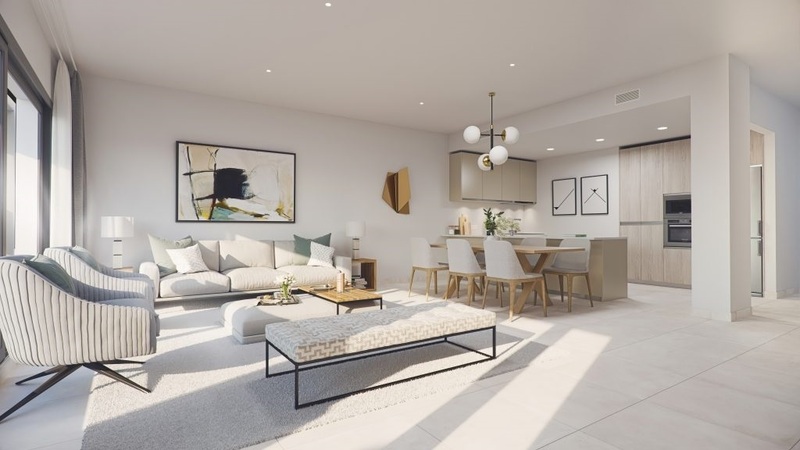 The large living rooms connect with bright open plan kitchens that invite you to share every moment. Our construction systems and finishing standards guarantee an exquisite quality in very fast terms. 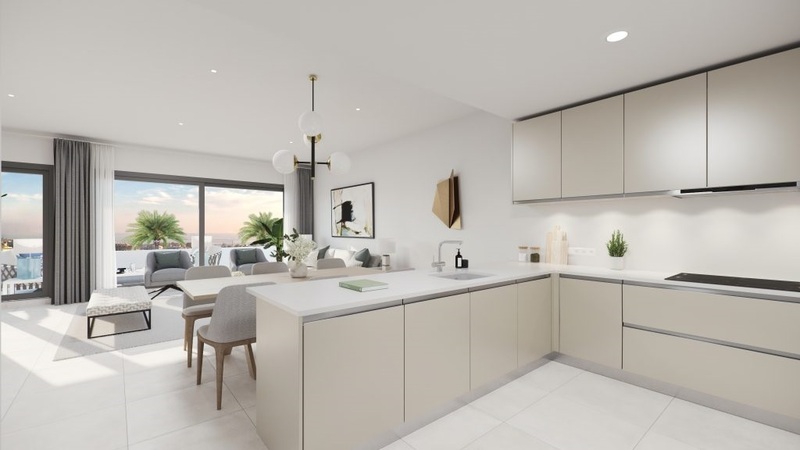 To make the most of the bright Mediterranean light, our homes offer open spaces that fit in with the natural surroundings. The orientations and views allow you to enjoy the sun until the last moment in the day. The profuse use of glass in the architectural design allows the sun to enter the rooms. This fills them with light and warmth. Homes that look outwards. 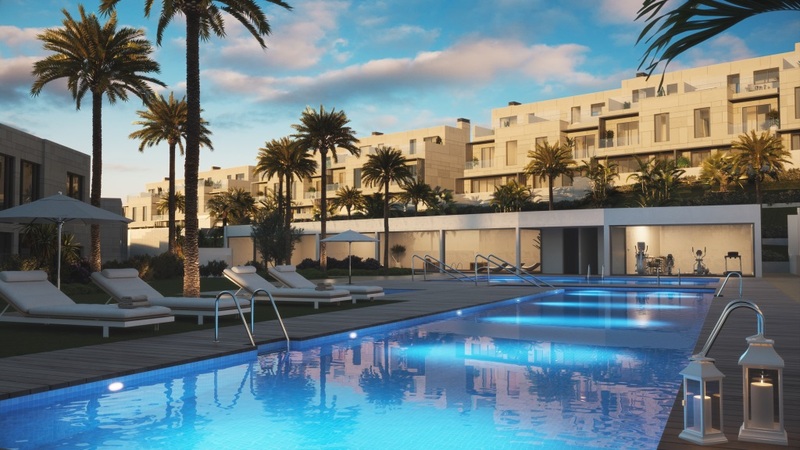 Spacious modern townhouses Estepona with everything to make you happy. 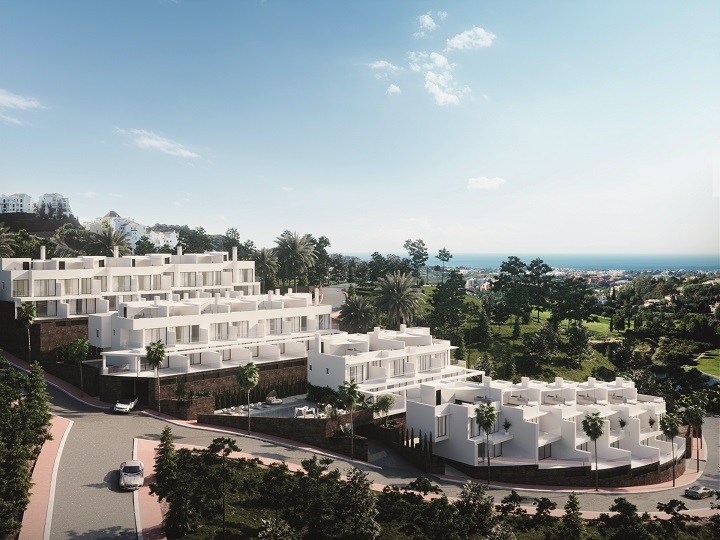 The project is on the new “Golden Mile” of the Costa del Sol between Marbella and Estepona. 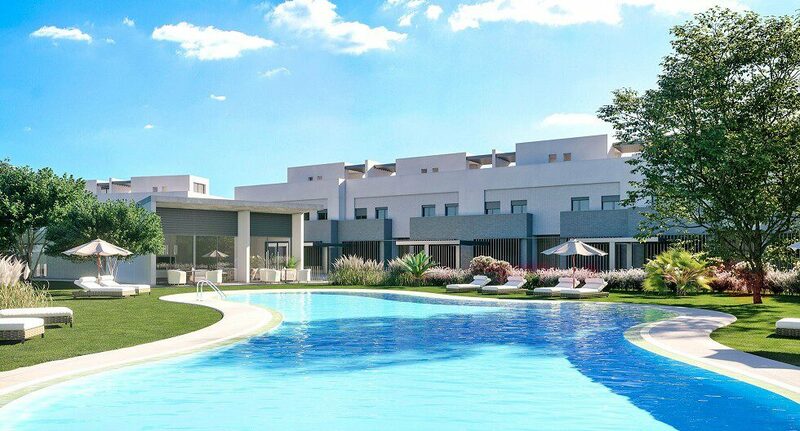 It has a distance of just 45 minutes from the airports of Malaga and Gibraltar. Also the AVE train station offers easy access to any national destination. 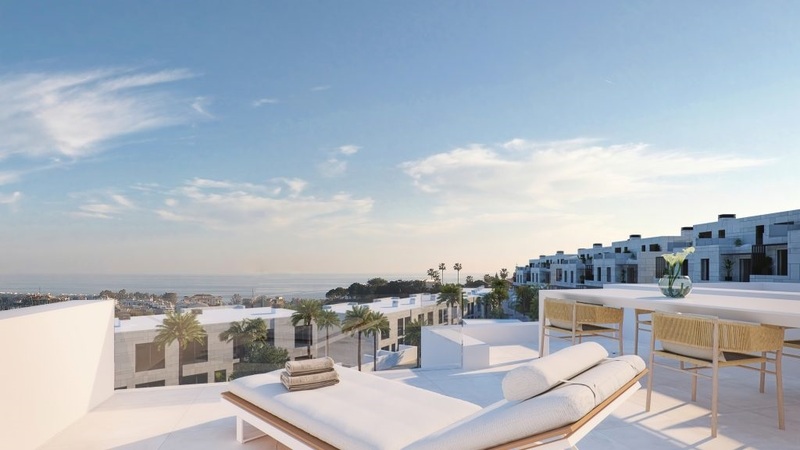 Estepona, one of the most important towns on Costa del Sol, is set in a privileged location. 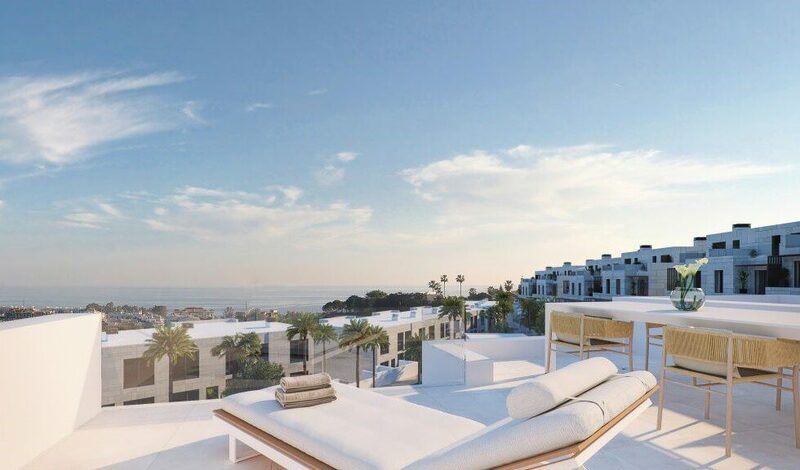 Right between two of the most well-known marinas on the Mediterranean, Puerto Banús and Sotogrande. Its 20 kilometres of coastline have innumerable beaches, golf courses, leisure attractions and shopping centres.